me: mom, wanna help me make shao bing?! mom: umm…it’s 6 pm, you’re starting now? shao bing takes a long time. me: really? i thought you just mix flour, water, eggs, use oil for the layers, like for green onion pie, and then you’re done. mom: no. it’s much more complicated than that and takes several hours. me: oh. <long pause> then i don’t know what we’re going to eat tonight. mom: why don’t you just go to the store and buy the frozen kind? me: that’ll take me 30 minutes round trip. 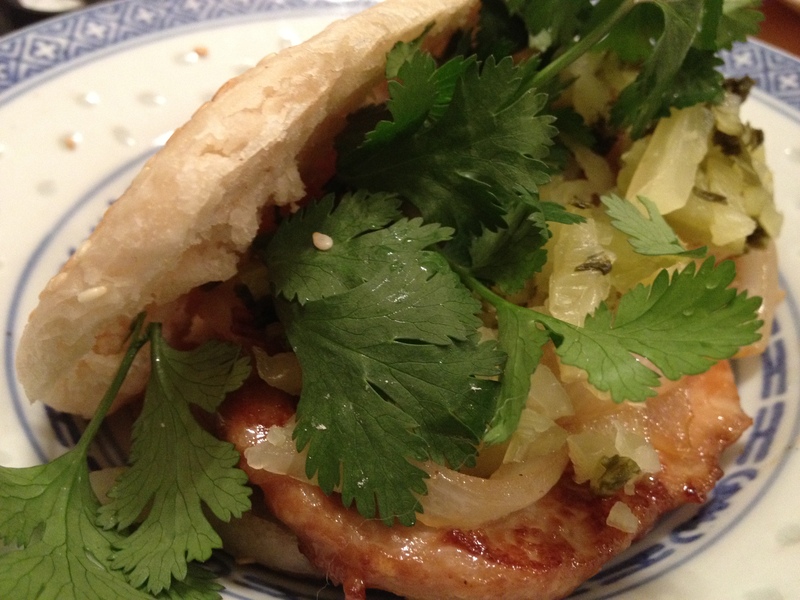 I do plan to make shao bing from scratch at some point down the road, so look for an actual legitimate post later. 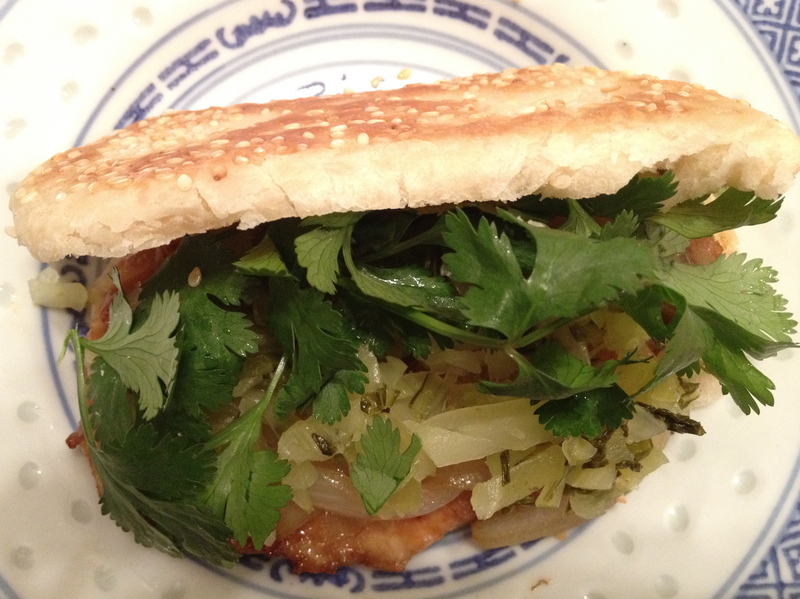 Until then, the cheater way is to buy the frozen shao bing and toast it until it’s warm. People put different meats and things inside their shao bing. For this one, I grilled some thinly sliced pork tenderloin (marinate in soy sauce and sesame oil for 20 minutes), sauteed white onions until caramelized, diced some picked mustard greens, and added cilantro in between. Ex-marinating, it’s like a 15-minute meal start to finish.